It’s going to be a blast, and I’m looking forward to do some fairly revolutionary teaching techniques regarding audio production. This workshop is a crash course in audio theater. 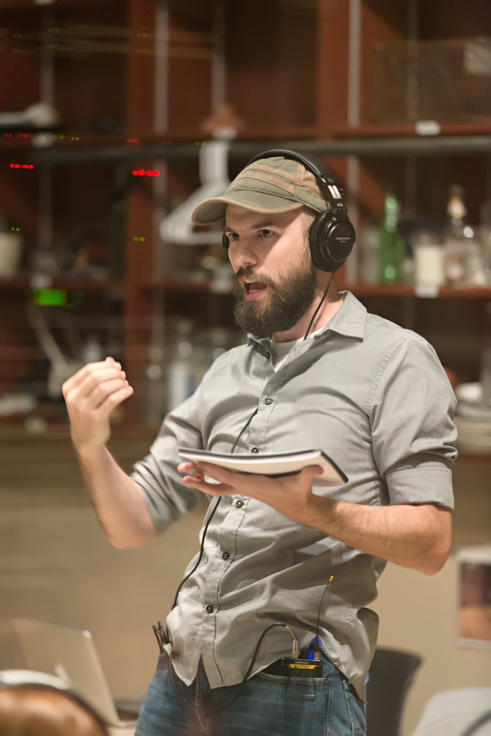 In three and a half days, NATF’s instructors will take participants through the basics of writing, directing, producing and performing audio theater works. Participants will create or adapt a script that will be performed, directed and acted by the Workshop 101 participants on the final day of the festival. Not only will participants get the opportunity to interact with their accomplished teachers, but they will also get to meet many professionals throughout the field, who can become valued contacts. Over the last three decades NATF, and its faculty, have been producing audio theater workshops nationally. Workshop 101 reflects that knowledge in a tight program that will give participants better understanding on how to create their own audio theater projects. Creator of "We're Alive: A Story of Survival" and "We're Alive: Lockdown". Writer and director, with a current focus on audio drama production. Bombs Always Beep – Creating Modern Audio Theater – Ebook now available! Looking for Wayland Productions? This is personal the website for Kc Wayland, if you're looking for the company behind We're Alive and other various Theater for the Mind Click here!